Margaret River is a small town location in the South West of Western Australia, about 300 kilometres south of Perth. “Margs”, as the locals call it, is known for legendary surfing, breathtaking wineries, and magical nature views. The annual Margaret River Wine Regional Festival is a wine and food lovers paradise, and brings in thousands of tourists and locals each year. I spent four days driving along Margaret River and I must admit that it turned out to be of my favorite trips of 2017! Stunning scenery, great food and wine, friendly people and breath-taking nature. What else do you need? 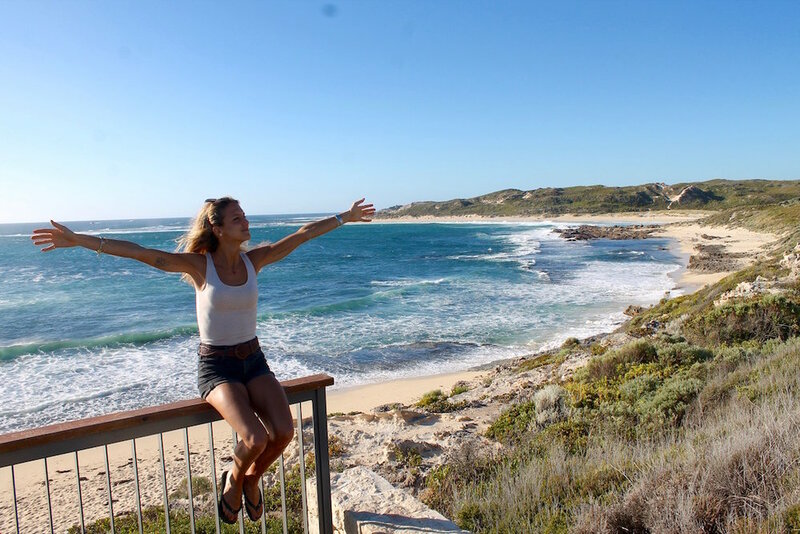 Here are 4 dreamy tips to include in your trip to Margaret River! Spending your first days on the farms in the Margaret River is an amazing experience for all the nature lovers out there! I highly suggest sleeping at the Fair Harvest Organic Farm, either in the gyspy truck or the Bohemian tents. The farm aims to inspire people to grow their own produce and learn how to live a more sustainable life. You can have a walk in the fruit and vegetable orchard, shower under the stars in a really wild and natural “compost shower”, have lunch in the garden eating super fresh organic products, and much more. The location is also perfect since it’s less than 10 minutes’ drive from the ocean! Another farm that is perfect for a delicious breakfast or lunch is the Berry Farm. On the way to this farm you will have the chance to do a chocolate tasting at Temper Temper and visit the Yahava Koffee Work, both located in Rosa Brook Road in Margaret River town. Margaret River is famous for their wineries, and it rivals the likings of Italy, France, and Napa! There are hundreds of delectable wineries from Yallingup to Augusta and everybody can find a delectable wine to sip on while relaxing in the sun. Vasse Felix is a perfect place for an afternoon lunch and wine tasting and is open from 10am to 5pm. They do a daily winery tour at 3pm that gives you the opportunity to tour the vineyard and talk with a sommelier! The chardonnay selection at Cullen Wines is absolutely delectable. Wise Wine is famous for being the only winery in the Margaret River region with ocean views and is open for lunch and two rounds of wine tasting a day (9.30 and 5.30). Palmer Wines has won over 50 national and international awards for their stellar wines. The winery in Dunsborough is also one of the few wineries that is open also for dinner! Their alfresco dining and italian foods make for an amazing end to a wine tour in the Margaret River. Smith’s Beach in Yallingup: Enjoy white sand and blue ocean, and if you’re lucky you’ll have the chance to swim with dolphins! Swimming with these majestic creatures was a once in a lifetime experience, and much better in the ocean compared to in a pool! Surfers Point in Prevelly: This surfers paradise is close to the Margaret River Mouth. Here you can surf, windsurf, or simply enjoy the beach and the Australian vibes! According to the day and time, you’ll find two trucks selling either coffee, the Combi Coffee or fish and chips, Hooked Up. Grab a snack and enjoy one of the best sunset you can have in Western Australia! Gnarabup Beach is a perfect place to swim in the blue ocean and have breakfast/lunch at the White Elephant Beach Café. Another cosy bar there that is better for dinner is The Common. Hamelin Bay, near Karridale, is the best place to go if you want to see the stingrays surface close to shore! 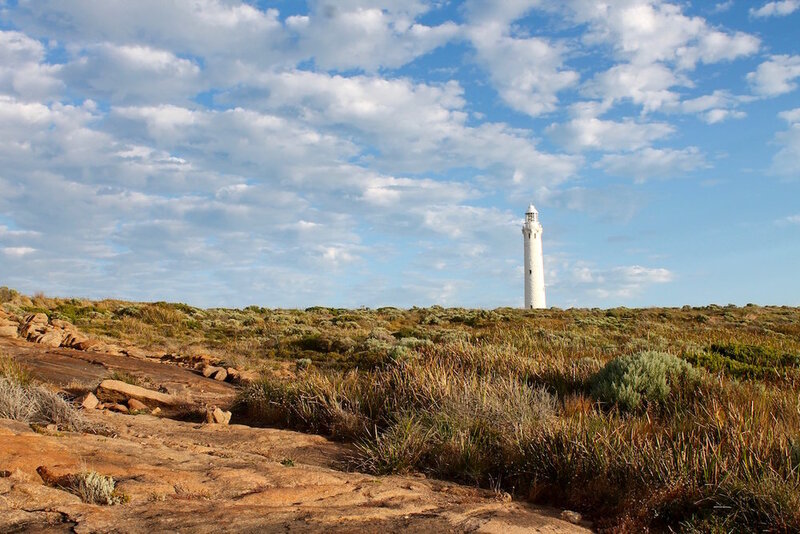 The two famous lighthouse are located at the opposite capes of the Margaret River. The Cape Naturaliste in the north part of the town and about 13 minutes’ drive from Dunsborough. My favorite was the Cape Leeuwin in the South, only about 10 minutes’ drive from Augusta!